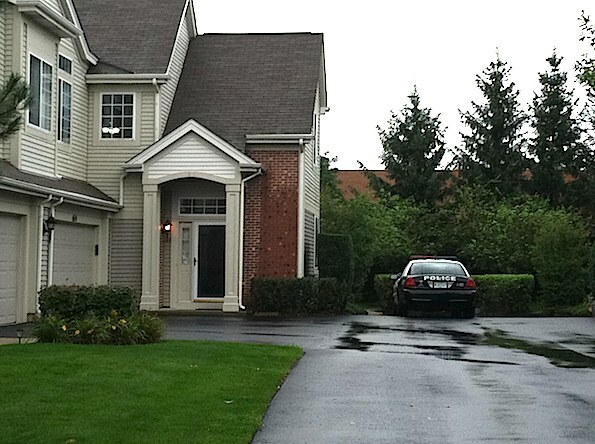 Townhouse where man kept police at bay for almost 4 hours Saturday morning. Palatine police and firefighter/paramedics responded about 7:30 a.m. Saturday to a medical call in the 600 block of East Thornhill Lane. Police recognized a threat at the home connected with a 20-year-old male resident at the house. Firefigher/paramedics staged nearby were notified by police to retreat, as police re-classified the case as a barricade situation. NIPAS — the Northern Illinois Police Alarm System — team members responded to the scene about 9:00 a.m.
A man in the townhouse was in custody just before 11:15 a.m. Saturday.